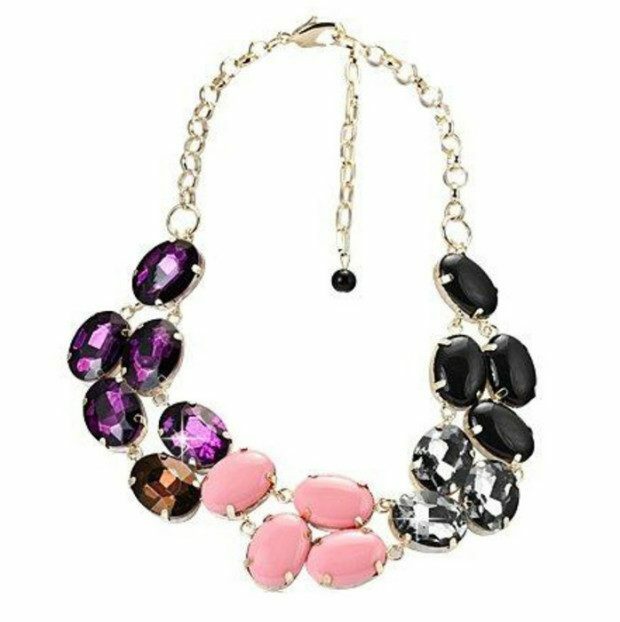 Multicolored Large Statement Necklace Only $8.99 + FREE Shipping! You are here: Home / Great Deals / Multicolored Large Statement Necklace Only $8.99 + FREE Shipping! With this color combo you should be able to pair the Multicolored Large Statement Necklace Only $8.99 + FREE Shipping with just about any outfit! With an 18 inch adjustable length and lobster claw clasp, this brightly colored necklace will go dressy or casual!